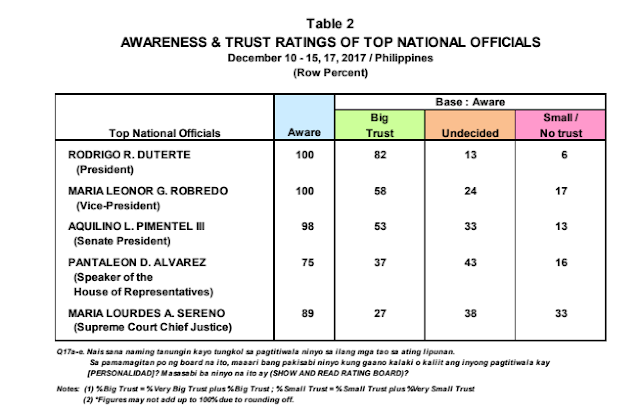 Confusing at it may seem, the trust and approval ratings of President Rodrigo Roa Duterte are incredibly high in comparison to his satisfactory ratings. But the thing here is that we have to take into consideration the fact that the Pulse Asia took the trust and approval ratings while the Social Weather Station took the latter. 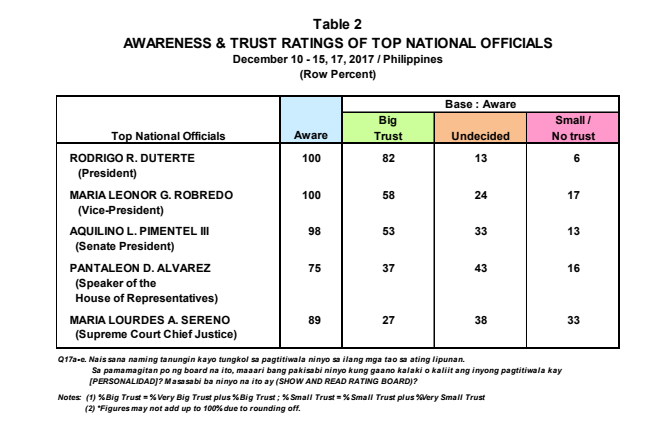 Yet let’s take a look at the President’s ratings on the survey of Pulse Asia, his trust ratings rose by 9% from 78% to 87%. 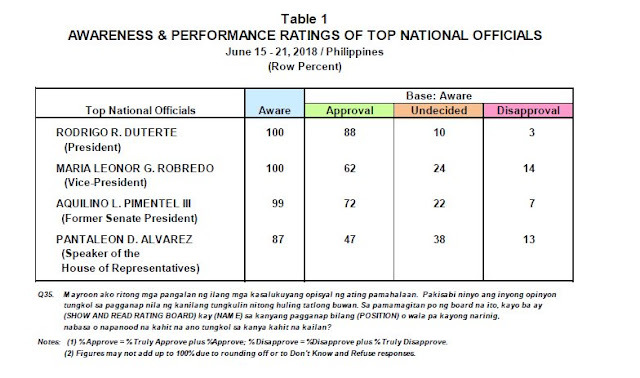 On the other hand, the SWS survey shows a sink in the President’s satisfactory rating. The “crucial difference” here also reflects the dates that the surveys were conducted, this was according to Pulse Asia Research Director Ana Tabunda. 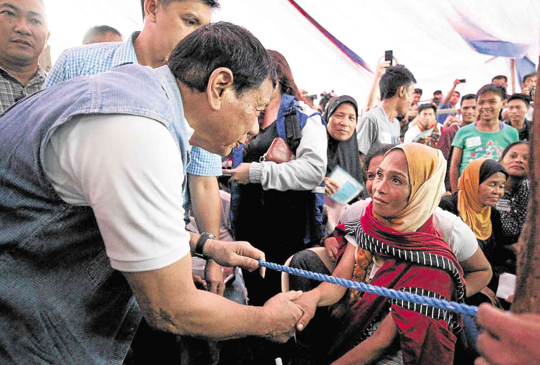 With 1,800 registered voters as the sample, Pulse Asia conducted their survey from June 15 to June 2, right before the controversial remark on God was made by the President. The SWS, on the other hand, had their survey of 1,200 adults nationwide from June 27 to June 30, five days after the comment of the President. "Ang crucial difference ng resulta namin ay ang Pulse Asia ay nag-conduct ng survey before the blasphemy was uttered… Magkahiwalay ang fieldwork dates namin, may naganap na napaka-importante sa gitna noon. Maaaring nahuli namin ang pinaka-mataas na ratings para sa presidente at nahuli nila ang mababa," Tabunda said. 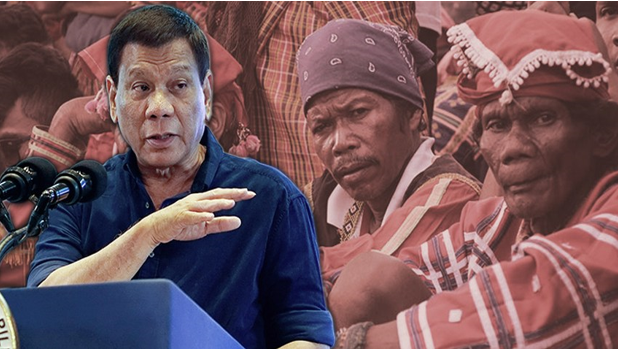 The research director also took note of the increase in Duterte’s approval ratings after the recent events of South Korea occurred where he was kissed by an Overseas Filipino Worker (OFW). "Sa tingin ko, maaaring nagkaroon ng — this will sound mababaw — kilig effect 'yung pag-kiss sa OFW kaya tumaas,” she continued. Factors for the ratings to sink could be the Tax Reform Acceleration and Inclusion law (TRAIN law) since there was an increase in the prices of basic commodities and criticisms that came with it, Tabunda pointed out. But the most notable thing that a researcher like Tabunda can recall about Duterte is that his approval rating in Mindanao is reaching almost a 100%. "Sobrang taas ng Mindanao, dahil sa dami ng binubuhos na proyekto. 99 percent approval, 10-point increase," said surprisingly. Presidential Spokesman Harry Roque stated that they are glad for such remarkable ratings of the President. 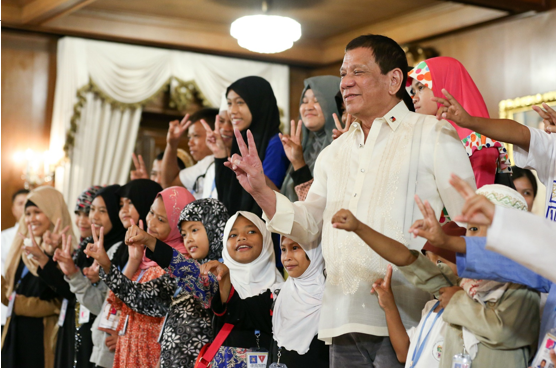 "The Palace expresses its gratitude for our people's continuing vote of confidence for President Rodrigo Roa Duterte ... The President views these latest survey results with all humility; however, he is not leading the country for the sake of high or good ratings. The Chief Executive is simply fulfilling his campaign promises with the best interest of Filipinos in mind," Roque stated. 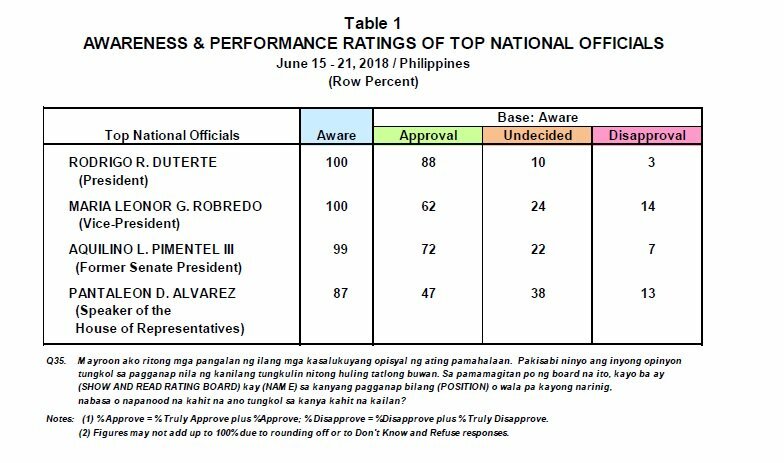 On another note, it seems that Duterte isn’t singled-out with the increase in ratings, the Vice President former Senate President and House Speaker all had their ratings rise from the last survey back in March. It seems former Chief Justice Maria Lourdes Sereno isn’t receiving the same treatment as all the incumbent government officials as her trust ratings dropped from 22% back in March to 19% this June. So in other words, the reports on the ratings here are very volatile since it could change depending on the mood of the masses, but knowing the President, his mistakes out weigh his contributions and achievements.